Water company Severn Trent says that Northumbrian Water will soon join it in providing gas for heating and cooking to the National Grid by using ‘poo power’. The biomethane will be produced by breaking down sludge from a sewer treatment plant. Severn Trent expects to produce 750 cubic metres per hour, supplying over 4000 homes a year. Human waste is broken down in 16 anaerobic digesters at the company’s site in Warwickshire, producing biogas which consists of methane and carbon dioxide. Most of the carbon dioxide is removed to create biomethane and then an odour is added to replicate the smell of household gas. Severn Trent’s renewable energy manager called the process ‘a little unsavoury’ but added that the process is safe. The process is also supported by academics who are experts in the field. One said that it is a more efficient way of dealing with waste sewage, and that the process has been around for a long time. Severn Trent and presumably other water companies will be paid a subsidy for the project as it is part of the Government’s Renewables Obligation scheme. If the process proves to be effective, it could be used widely in the future. 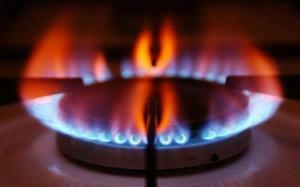 One of the reasons for this is due to concerns over the security of the UK’s gas supply and ensuring a domestic supply. The more that we recycle within our own borders, the more secure the gas supply will be. Scottish based power provider SSE has been devising a strategy to simplify its business operations. Part of this plan has resulted in the sale of its major data centre in Hampshire. The centre has been purchased by IT group SCC. The company said that the sale will allow them to focus on its UK performance as well as its efforts to provide a reliable fibre optic network to small businesses who’s operations centre around the digital world. The Chief Executive of SSC was also praising the deal, calling it a ‘significant acquisition from a major FTSE 100 company’. He also revealed the company’s ambitious plans, saying that the purchase was another step towards their mission to become the principal IT services business in Europe. The full transaction between the two company’s is expected to be completed before the end of the year, ready for a fresh start for both of them in 2015. 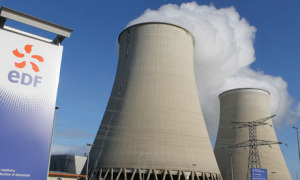 Nuclear experts receiving pensions from EDF were involved in the official health and safety review of the company’s planned Hinkley Point C plant in Somerset, which sparked concerns from some that there may be a vested interest between the parties when it came to approving the project. The involvement of Senior Executive grade officers at the Office of Nuclear Regulation allegedly made it very difficult for the regulator to cast a critical eye, according to an industry consultant. The revelations were uncovered as a result of a series of Freedom of Information Act requests and they raised wider concerns about the use of consultants due to a lack of staff who were experienced. The information comes a week after the project was given the go ahead from the European competition. EDF plans to use a new European pressurised reactor design for the plant in Somerset, with the design being successfully submitted to the ONR for approval. However, the standards of safety and the sign off of the power plant has been called into question by experts who are understood to believe that the construction of the project will go over budget or fail completely. They argue that vital safety issues that should have been highlighted in the regulatory process were ignored completely- this may have occurred in order to ensure the project’s approval met the deadline which had been set out by the UK Government. He added that he suspected political pressure was on the regulators when making their decision. Scottish Water has announced a new £3.5 billion investment programme to help improve mains water as well as drinking water supplies. The company, which is publicly owned, is expected to support 5,000 jobs during the six year programme. It will be supported by £720 million in funding from the Scottish Government. Scotland’s Deputy First Minister said that she expected the investment to be carried out without any impact on customer bills above the level of inflation. The company has planned projects including: more than £280 million in improvements to water mains and water treatment works, over £100 million for a Glasgow based waste water channel to improve the River Clyde’s water quality, £45 million to address problems with external sewer flooding and over £60 million to reduce the impact of discharges into the River Clyde. 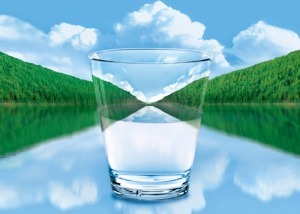 A policy statement from the Scottish Government said that charges for water must remain stable. Alongside this, they also announced an extension of assistance to charities to help them pay for their water services.